18 holes, par 72 and 70 hectares. These are the numbers of the essence of Corvera Golf & Country Club. 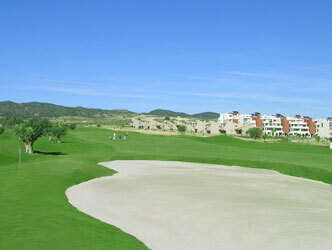 An international competition standard course designed by José María Olazábal – IGD- over which it is located the residential area dreamt with by any golf enthusiast. You can play whenever you want; it is just there when you walk out your door. You may practice on a unique framework, with beautiful settings created by the typical flora of the region. And, of course, at your reach is everything else that goes along with this sport, just enjoy it intensively. 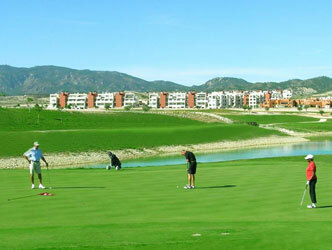 In Corvera Golf & Country Club –even the amount of sun rays and good weather – is intended for you. As you are the one who will enjoy it and live in it.